Why would I need self storage in San Carlos, CA? There are a variety of reasons why you might need self-storage in San Carlos, CA. How much is a storage unit in San Carlos, CA? The cheapest storage unit in San Carlos, CA is $68.00 per month. What size storage units do you have available in San Carlos, CA? In San Carlos, CA we have sizes that range from 5'x5' to 10'x30' to suit your storage needs. How much is it for a 5'x5' storage unit in San Carlos, CA? The cheapest 5'x5' storage unit in San Carlos, CA is $80.00 per month. San Carlos is a small but thriving city located on California's San Francisco Peninsula, about halfway between San Jose and San Francisco. It's a cozy residential suburb that's home to a tight-knit community, thriving business and industrial districts and a variety of diverse neighborhoods. The part of California now known as San Carlos was originally home to the Ohlone natives. European exploration in the San Francisco Bay Area began in 1542, and by the 1700s, the Spanish government was granting parcels of land in the Bay Area to individuals deemed worthy of the honor. The San Carlos area was originally granted to Captain Don Jose Dario Arguello, who utilized the area to raise cattle and crops. In 1854, Timothy Guy Phelps became the first American to occupy land in San Carlos. The city grew slowly but steadily over the following decades, getting a small population boost from the newly constructed Peninsula Railroad Corridor in 1863. Through the remainder of the 19th century, the area was mostly rural and was home to less than a hundred families. The community's population increased slowly through the first half of the 20th century. Thanks to the arrival of the first electronics plant in the area, San Carlos saw a massive boom in population, nearly quadrupling the number of people living within its limits. 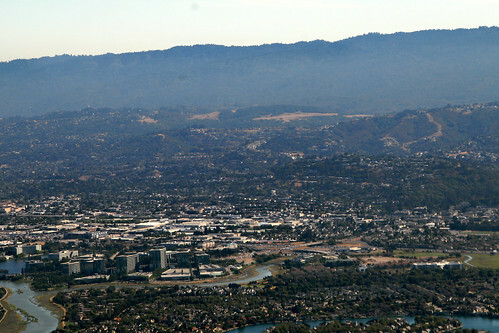 As the electronics industry grew in San Carlos, so did the city's residential and commercial districts. San Carlos leaders seek to uphold a "small-town feel" in the community, an effort that's supported by a large number of community events and celebrations. The Art & Wine Faire has been taking place for over 25 years, providing locals with the opportunity to experience local arts, culture and food. Hometown Days is a charitable event that was started in the late 1970s, designed to celebrate the local culture while raising money for community organizations. It spans a full summer weekend and features live entertainment, a large marketplace, food vendors and a variety of carnival games. Movies in the Park and Music in the Park are two regular San Carlos events during the summer months, inviting families to experience the arts in an outdoor environment. You can also get to know your neighbors at the weekly farmers market, a San Carlos institution for many years. The San Carlos School District is responsible for the local public schools. San Carlos was the site of the state's first charter school, San Carlos Charter Learning Center, a nationally-recognized school that's still in operation today. There are also a few private schools in the area. Utilities: Pacific Gas and Electric is the city's main power provider, while the city's utilities board manages water and sewer services. Garbage and Recycling: You can expect regular collection of your trash and recyclables in most residential areas of San Carlos. Transportation: Like much of the Bay Area, San Carlos is very accessible via public transportation. Caltrain and SamTrans are just two of the popular transit options in the area. You can expect to pay high prices for housing in San Carlos, with many home prices reaching well past the million-dollar mark. This is to be expected for a community in the Bay Area, especially because San Carlos provides many amenities and easy access to nearby cities. Rent is also very expensive, and apartments are somewhat limited in the area. Our lowest priced units in San Carlos, CA average $74.00 per month. 51 people have reserved units in San Carlos, CA in the past 30 days. There are 2 locations within San Carlos, CA's city limits.